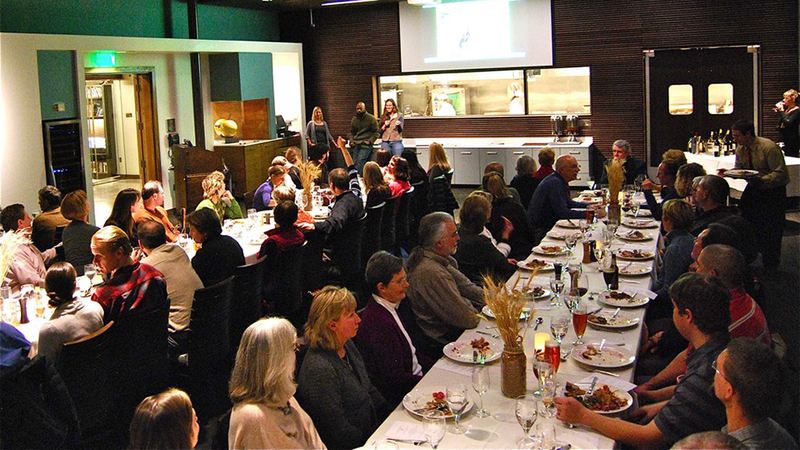 Preparing the next generation of hospitality industry leaders is a community endeavor at Cascade Culinary Institute. Elevation, the student-operated restaurant, serves as the capstone course for students, an important step in their career path, and an opportunity for community members to enjoy sustainable cuisine with a farm-to-table emphasis. Elevation connects the public and students as an integral part of the curriculum. While students gain valuable hands-on experience not only in the kitchen but in the “front of house”, diners enjoy truly outstanding, creative dishes that reflect students’ personality as well as the schools’ ethos of utilizing quality ingredients that are in season and locally sourced. At the conclusion of the meal, or via the restaurant website, patrons are actively engaged in an e-survey, where they provide feedback about their experience, and that feedback is integrated into the instructional process for individual and group learning. Elevation is open for lunch and dinner but days and hours vary with current term schedules so please visit the website for hours and reservations.